Lyndy has been with the ASU for four years and most currently with Academic and Student Affairs. 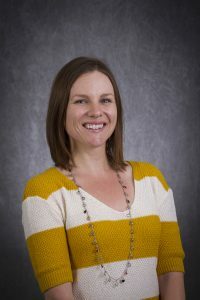 She has a Bachelors in Psychology and Family Studies from Northern Arizona University and a Masters in Community Counseling from the University of Wisconsin-Milwaukee. Among other responsibilities, Lyndy is a special program advisor for undergraduate students in the Engineering Exploration major. Before coming to ASU, Lyndy has worked with various groups in a number of roles, including a preschool teacher, counselor for at-risk youth, and academic advisor for online college students.